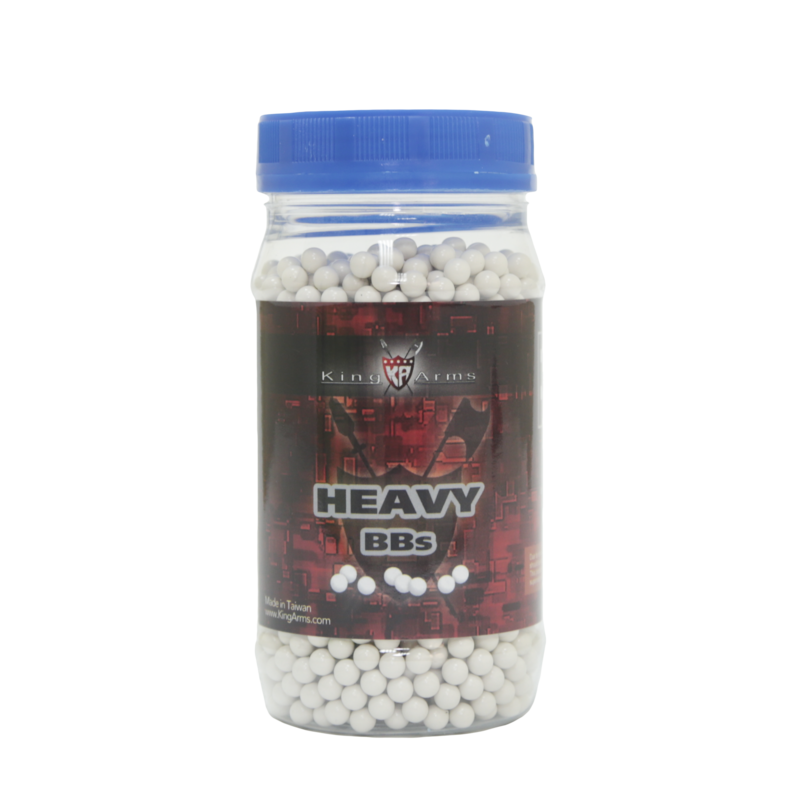 Heavy Series 6mm BBs - 0.40g/ 1KG (2000R) - WH High precision BBs, 5.95 +/- 0.01 diameter, developed for experienced players, ideal for high power and high speed airsoft rifles and pistols. 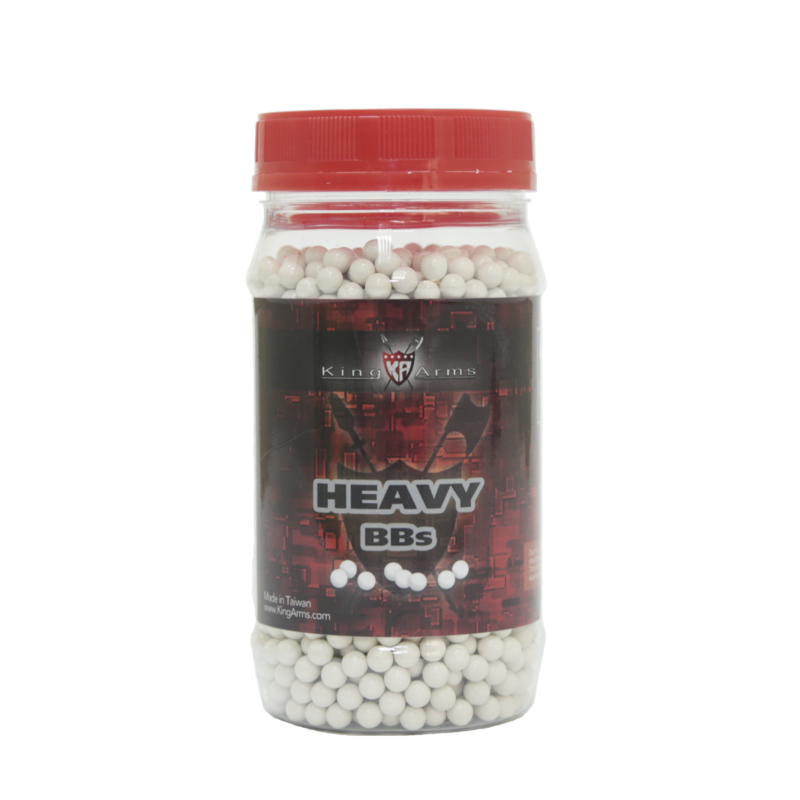 Heavy Series 6mm BBs - 0.36g/ 1KG (2000R) - WH High precision BBs, 5.95 +/- 0.01 diameter, developed for experienced players, ideal for high power and high speed airsoft rifles and pistols. 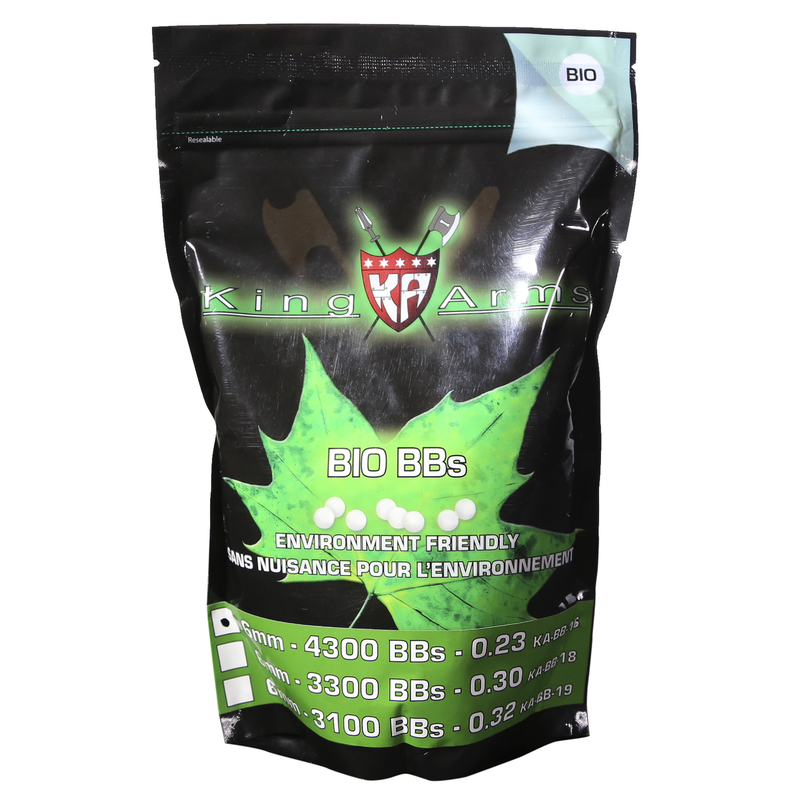 Bio BB 0.32g/ 1KG (3100R) High precision BBs, 5.95 +/- 0.01 diameter, developed for experienced players, ideal for high power and high speed airsoft rifles and pistols. Bio BB 0.30g/ 1KG (3300R) High precision BBs, 5.95 +/- 0.01 diameter, developed for experienced players, ideal for high power and high speed airsoft rifles and pistols. 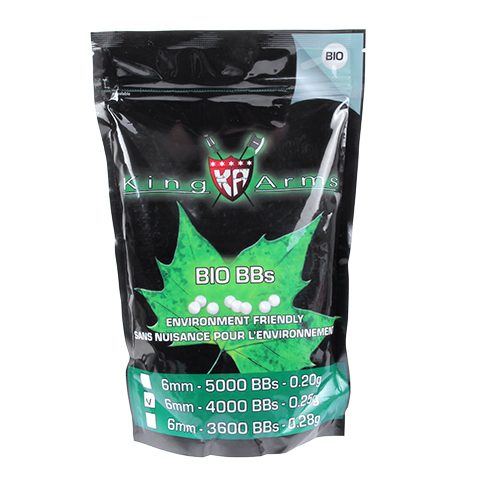 Bio BB 0.28g/ 1 KG (3600R) High precision BBs, 5.95 +/- 0.01 diameter, developed for experienced players, ideal for high power and high speed airsoft rifles and pistols. 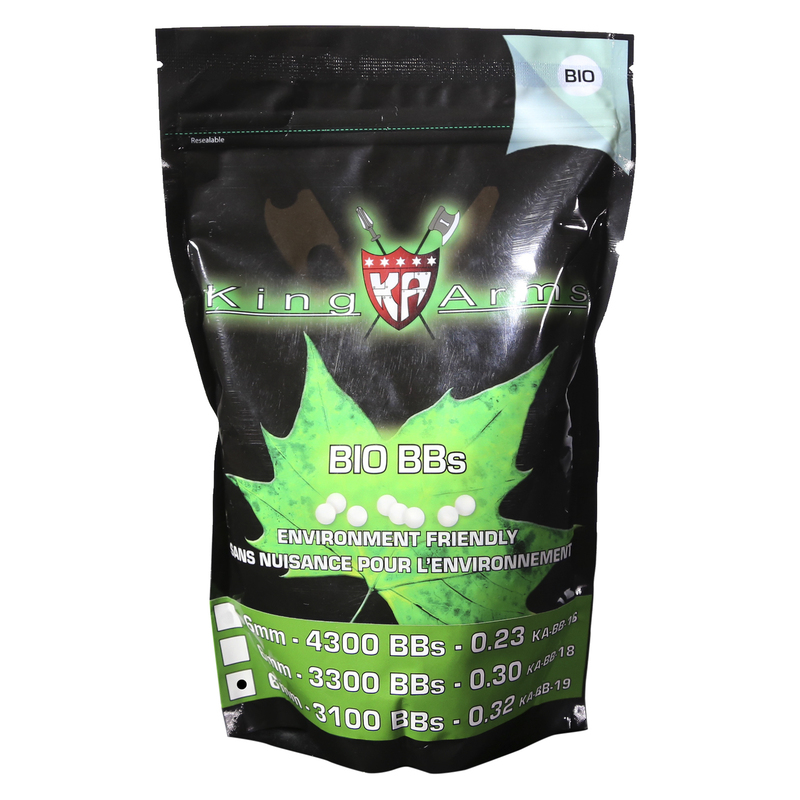 Bio BB 0.23g/ 1KG (4300R) High precision BBs, 5.95 +/- 0.01 diameter, developed for experienced players, ideal for high power and high speed airsoft rifles and pistols. 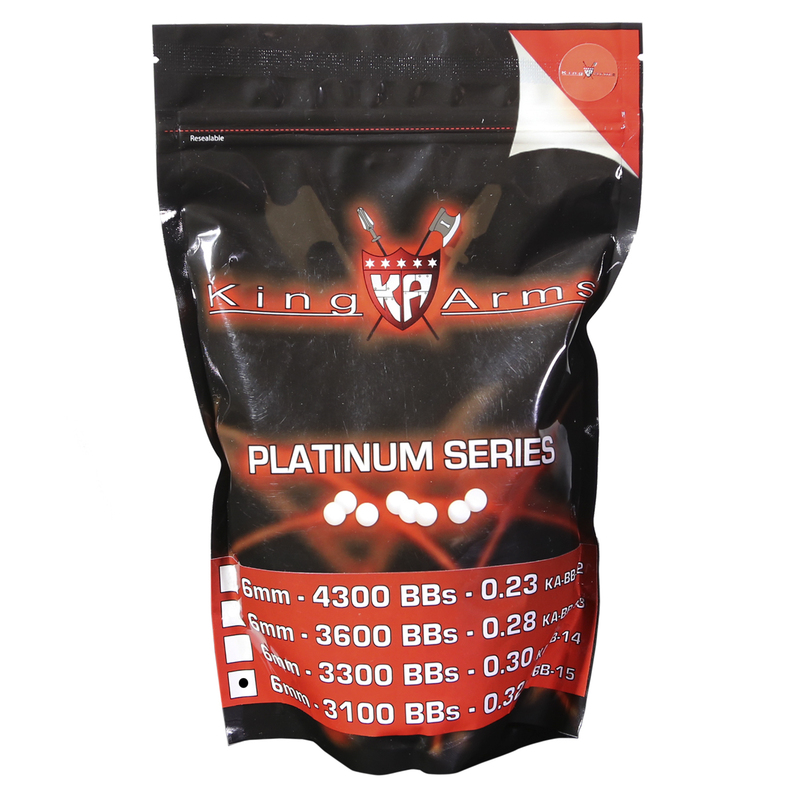 Platinum Series BBs 6mm- 0.32g/ 1KG (3100R) High precision BBs, 5.95 +/- 0.01 diameter, developed for experienced players, ideal for high power and high speed airsoft rifles and pistols. Platinum Series BBs 6mm- 0.30g/ 1KG (3300R) High precision BBs, 5.95 +/- 0.01 diameter, developed for experienced players, ideal for high power and high speed airsoft rifles and pistols. Platinum Series BBs 6mm- 0.28g/ 1KG (3600R) High precision BBs, 5.95 +/- 0.01 diameter, developed for experienced players, ideal for high power and high speed airsoft rifles and pistols. Platinum Series BBs 6mm- 0.23g/ 1KG (4300R) High precision BBs, 5.95 +/- 0.01 diameter, developed for experienced players, ideal for high power and high speed airsoft rifles and pistols. 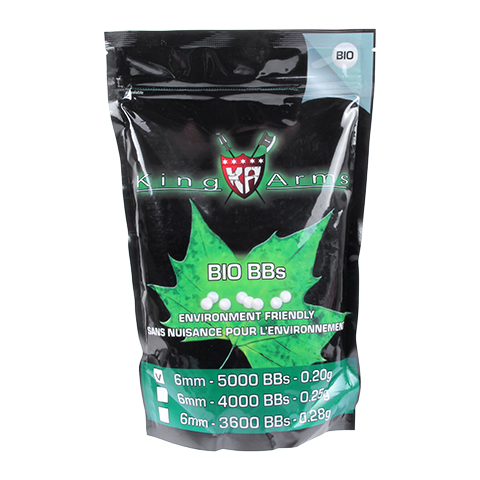 Bio BBs 6mm - 0.25g/ 1KG (4000R) High precision BBs, 5.95 +/- 0.01 diameter, developed for experienced players, ideal for high power and high speed airsoft rifles and pistols. 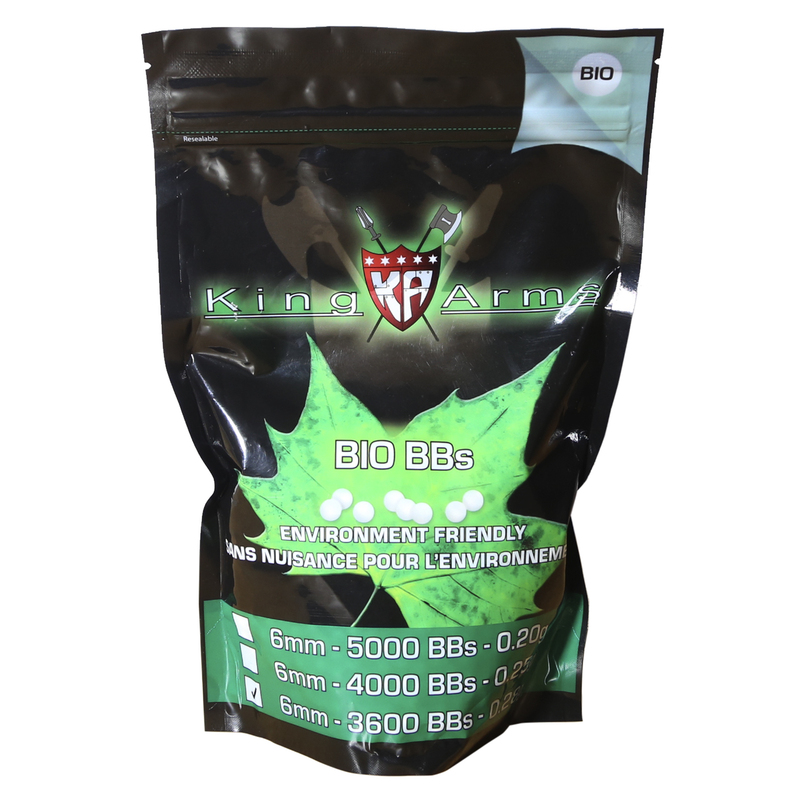 Bio BBs 6mm - 0.20g/ 1KG (5000R) High precision BBs, 5.95 +/- 0.01 diameter, developed for experienced players, ideal for high power and high speed airsoft rifles and pistols. 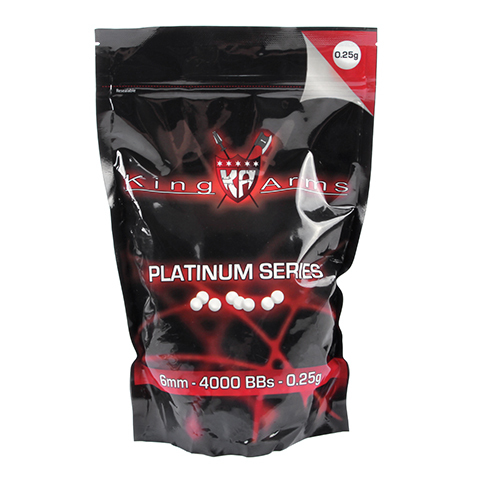 Platinum Series 6mm BBs - 0.25g/ 1KG (4000R) High precision BBs, 5.95 +/- 0.01 diameter, developed for experienced players, ideal for high power and high speed airsoft rifles and pistols. 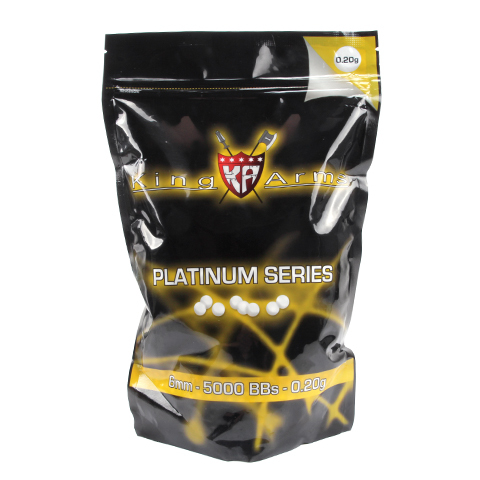 Platinum Series 6mm BBs - 0.2g/ 1KG (5000R) High precision BBs, 5.95 +/- 0.01 diameter, developed for experienced players, ideal for high power and high speed airsoft rifles and pistols. 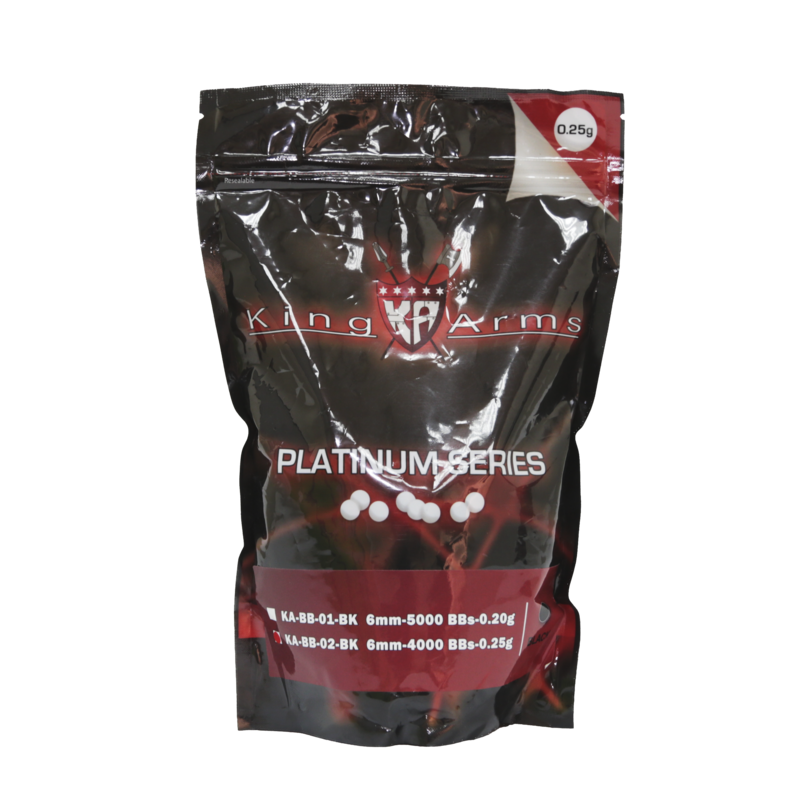 Platinum Series 6mm BBs - 0.20g/ 1KG (5000R) High precision BBs, 5.95 +/- 0.01 diameter, developed for experienced players, ideal for high power and high speed airsoft rifles and pistols.